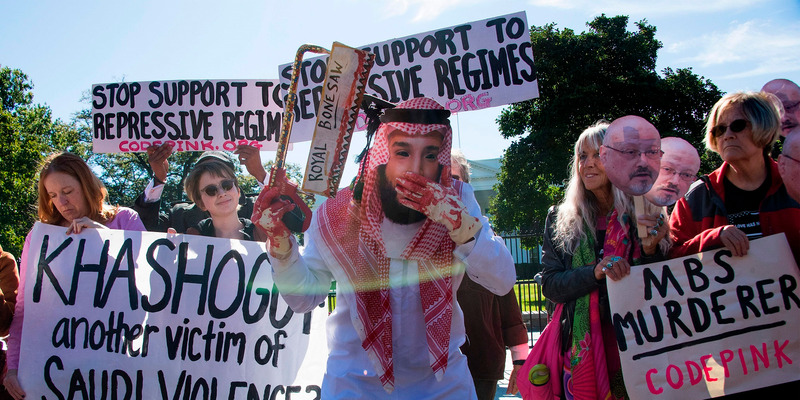 JIM WATSON/AFP/Getty ImagesA demonstrator dressed as Saudi Arabian Crown Prince Mohammed bin Salman holds up a bone saw outside the White House in Washington, DC, on October 19, 2018, as protesters demand justice for missing Saudi journalist Jamal Khashoggi. Saudi Arabia’s human rights record has come under intense scrutiny in recent months. Earlier this year, the country detained dozens of prominent women’s rights activists – most without access to communication and many who were never formally charged with a crime. 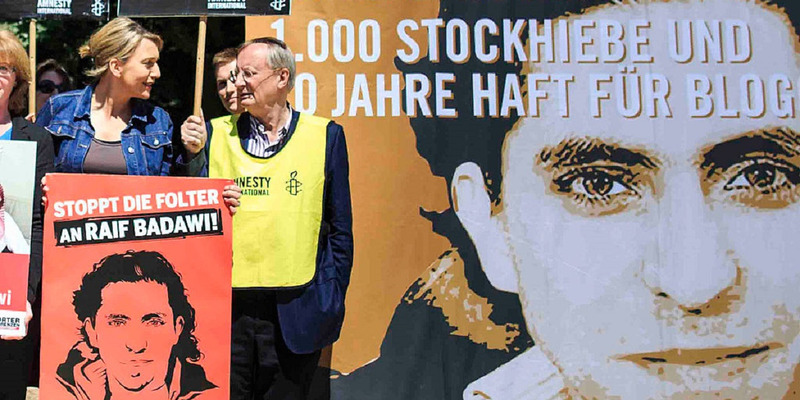 Award-winning campaigner Samar Badawi was arrested in August, which sparked a massive feud between Riyadh and Ottawa over the Kingdom’s human rights record. 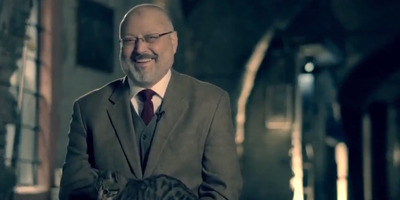 In October, journalist Jamal Khashoggi was murdered by Saudi agents, possibly at the order of the Saudi crown prince, which thrust the country’s human rights violations back into the spotlight. Saudi Arabia’s human rights record has come under intense scrutiny in recent months – even before the murder of Jamal Khashoggi made international headlines. Earlier this year, the country detained dozens of prominent women’s rights activists – many without formal charge or access to communication – most of whom still remain in custody. In May, at least 15 prominent women’s rights activists had been arrested, many who had been actively involved in the women’s right to drive movement. Local media reported that nine of the activists were set to be tried at a criminal court that specifically deal with terrorism-related offenses. And Saudi state media was quick to brand the activists as “traitors,” and accused them of forming a “cell” in conjunction with foreign agents, Amnesty International said. 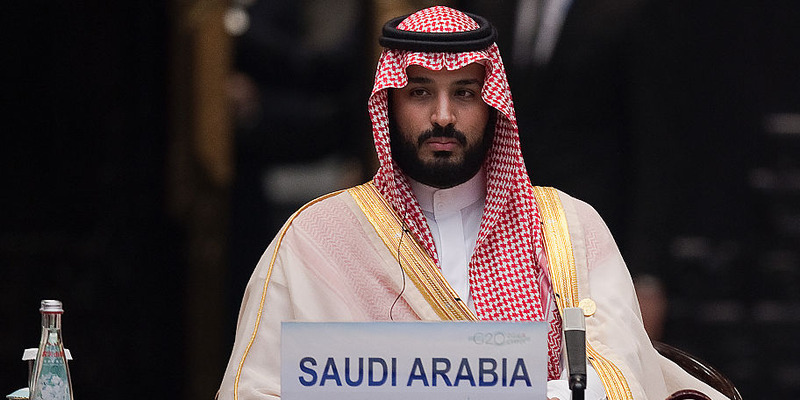 Crown Prince Mohammed bin Salman has been leading a push for modernisation – cracking down hard on anyone that stands in his way. Nicolas Asfouri – Pool/Getty ImagesSaudi Arabia Deputy Crown Prince Mohammed bin Salman is cracking down on his critics. Critics of the driving ban say it was symbolic of Saudi Arabia’s strong patriarchal society, an image which Crown Prince Mohammed Bin Salman has eagerly been trying to shed since ascending to the throne and instating his ambitious Saudi Vision 2030 to completely overhaul the Saudi economy and society. But along with his major push for modernisation came ruthless intolerance towards anyone that stood in his way. The prince arrested hundreds of officials, billionaires, and members of the royal family in massive graft, netting him over $US100 billion in settlements. 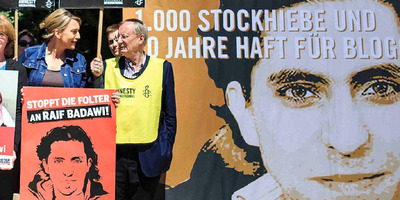 In August, award-winning human rights campaigner Samar Badawi – who is best known for challenging the country’s restrictive male guardianship laws – was arrested along with several other activists. Alex Wong/Getty ImagesSamar Badawi was presented with an International Women of Courage Award by former US Secretary of State Hillary Clinton and first lady Michelle Obama. Badawi was reportedly arrested in August and remains in Saudi prison. Samar Badawi’s arrest sparked a massive feud between Riyadh and Ottawa, and shined a spotlight on the Kingdom’s human rights record once more. In August, Canada’s foreign ministry tweeted that it was “gravely concerned” about the new wave of arrests in the Kingdom targeting women’s rights activists, which sparked outrage from Saudi Arabia. Saudi Arabia quickly retaliated with a series of intensifying diplomatic measures, which have since simmered down. Screenshot/Twitter/Hatice CengizThe fiance of slain journalist Jamal Khashoggi posted a touching tribute for him on Twitter. The murder of journalist Jamal Khashoggi has thrust Saudi Arabia’s human rights abuses back onto the global stage. The country has repeatedly denied that the crown prince had any role in Khashoggi’s death, though its version of the events surrounding Khashoggi’s murder have shifted several times over the last several weeks, fuelling suspicions. Recent CIA assessments have reportedly determined that the prince directly ordered the assassination, accusations the Kingdom has swiftly rejected. 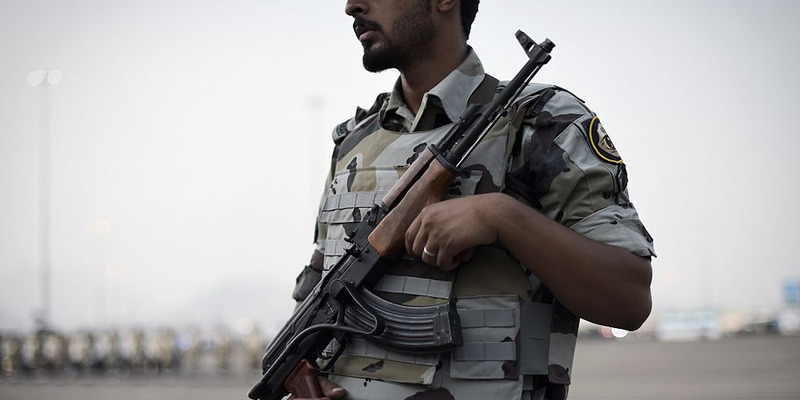 MOHAMMED AL-SHAIKH/AFP/Getty ImagesA Member of the Saudi special police unit stands guard during a military parade in Mecca on September 17, 2015, as more than one million faithful have already arrived in the Muslim holy city for the annual hajj pilgrimage which begins next week. On Tuesday, reports emerged detailing abuse inflicted on activists caught up in the crown prince’s crackdown on dissent. Amnesty International obtained three separate testimonies which reveal instances of sexual harassment, electrocution, and flogging while in detention at the country’s Dhahban Prison, where many human rights activists have been held for months. Some of the detainees were so badly harmed that they were left unable to walk or stand properly. Human Rights Watch also reported similar torture at the hands of Saudi authorities, including whipping and sexual assault. On Tuesday, President Donald Trump released a lengthy defence of Saudi Arabia, despite the country’s mounting human rights abuses and unanswered questions surrounding Khashoggi’s killing. Trump signalled he does not intend to call for significant changes to the US-Saudi relationship, despite global calls for sanctions against Saudi officials and those involved in the gruesome murder plot.